Gambler Lures - Prize Pack Giveaway! In the past 14 years Alabama-based BASS Elite pro Matt Herren has qualified for five Bassmaster Classics and six FLW Cups, but hasn’t taken first since the 2007 Wal-Mart FLW Series BP Eastern on Arkansas’ Lake Dardanelle. “It’s been a grind. I’ve had a string of seconds and thirds. Just wasn’t my time until now,” says the battle-weary Herren. 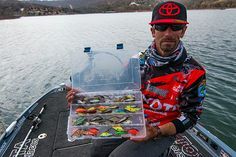 But everything fell into place for the Alabama-based pro at the 2016 Toyota Texas Bass Classic (TTBC) on Lake Ray Roberts this past weekend, where Herren demonstrated flexibility despite changing water levels and weather conditions. On Day 1 Herren weighed 19-8; 15-0 on Day 2; and 17-4 on Day 3. He edged out second place finisher Bryan Thrift by a mere eight ounces and took home $100,000. He continues: “Practice was cloudy and windy, and there was a lot of frontal stuff going on. Wasn’t until the afternoon of practice Day 2 that I started figuring out what the bass were doing. We finally got a little sun and that’s when the fish showed up. I had three or four bites that afternoon, and I was really focused on what’s going to happen. I knew conditions were changing rapidly and the key to winning would be staying flexible,” says Herren. At that point, the tournament began to set up perfectly for the shallow-water ace. “Everybody thinks shallow is 2’ deep, but to me it’s 15’ to the bank. I love fishing visible patterns like wood and rock. If I can see something and duplicate it, you’re stepping right into my wheelhouse. It’s like being a fast ball hitter standing at the plate – don’t throw me a fast ball ‘cause I’m gonna hit it,” laughs Herren. 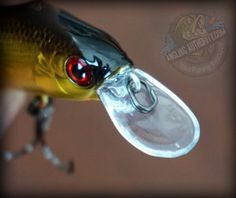 But Herren’s visual style of fishing is more than just chunk and winding or flipping to cover. Case in point, how Herren locked in his plan on Lake Ray Roberts. In terms of developing a pattern, Herren says all he needs is a first bite and a confirmation bite. After that, he studies contours on his electronics, asking himself questions: Is it a main creek? A pocket? Main lake? 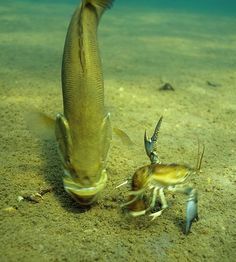 Then he sets his sights at duplicating those bites by seeking out similar structure, contours and cover. “Let me put it to you this way: the main difference between pro and college football is the speed of the game. Same thing at the level I fish. 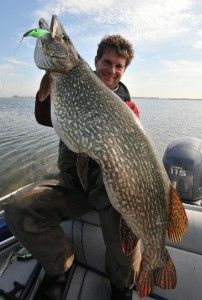 Just look at how fast these guys can take one or two bites and turn it into a 20 pound limit. We ask ourselves the ‘why’ questions after every bite. My computer is constantly analyzing information, and I’m using my eyes, my electronics, every tool I have available, and it’s a constant equation, analyzing, calculating, spitting out information to instantly readjust,” says Herren. Based on his Ray Roberts calculations, that meant employing two primary presentations: flipping 5/8 oz. Santone M-Series jigs and Reactions Innovations Twerk trailers (both in watermelon red) in willows and salt cedars on Day 1 and 2, and running shad-colored PH Custom Lures 2.0 cranks along rip-rap on Day 3. But to make every cast count, he says boat control was critical, especially in the willows and cedars. But it was Herren’s ability to adapt that ultimately won the 2016 TTBC. 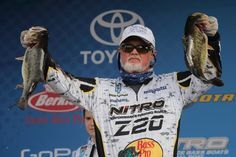 While Herren now assumes the TTBC mantle, everyone involved in the Fourth Annual Toyota Texas Bass Classic emerged a winner. Proceeds raised from the TTBC help underwrite Texas Parks & Wildlife Department youth fishing, Community Fishing Lakes (CFL) and other fisheries projects throughout the state. To date, the tournament has donated $2.25 million to the TPWD. Mitch Eeagan is a writer and photographer who not only lives, but survives off the land and water in Michigan’s Upper Peninsula. 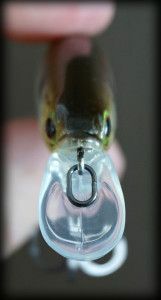 Lockett Lures Outlet Contest Giveaway! Why Replace Treble Hooks With Siwash Hooks?